Forum fans, discover in exclusivity the last news and share your favorites discussions, photos and videos to Race. This is the forum for the Danish national team for this years ESL Country Championship 2014/2015, now known as Nations Challenge 2015. 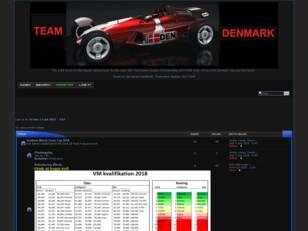 Every driver from Denmark may join this forum!